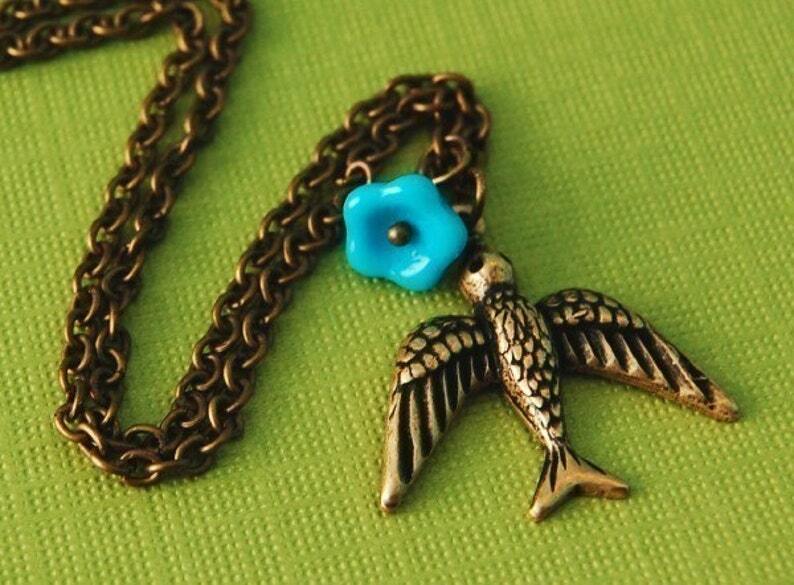 A sweet brass bird in flight hangs on an antique brass chain along with a vintage Czech glass bluebell flower bead. I love this one! Bird measures almost 1" long/wide. Chain measures 16.5" long.